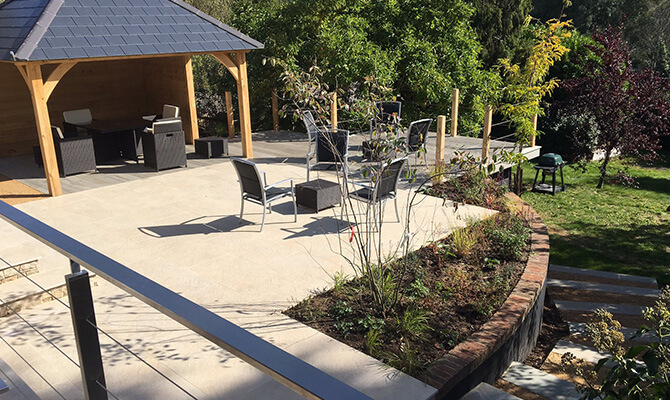 We are delighted to see our stainless steel wire balustrade and 60x30 balustrade system being used in this stunning garden design by Langdale Landscapes Ltd. 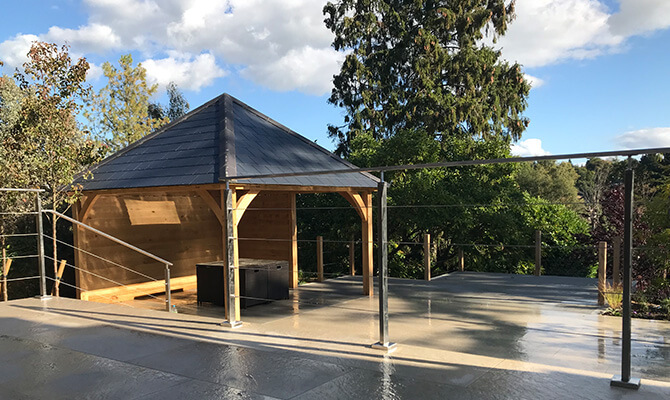 Beautifully constructed and well thought out patio entertaining area, using a wide range of construction materials that have been matched perfectly. 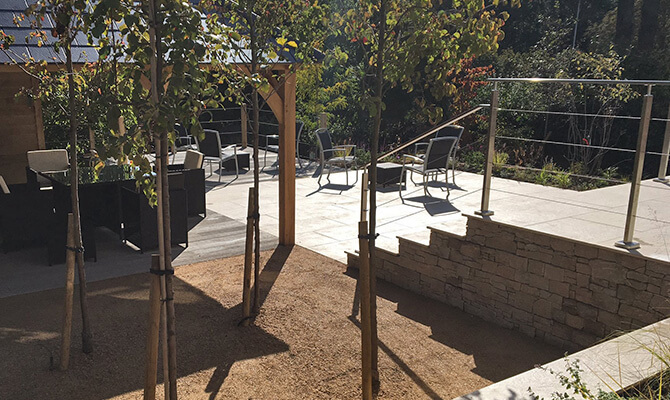 The stainless steel tensioned balustrade wires are much less intrusive; they help to maintain the view, yet at the same time provide additional safety. 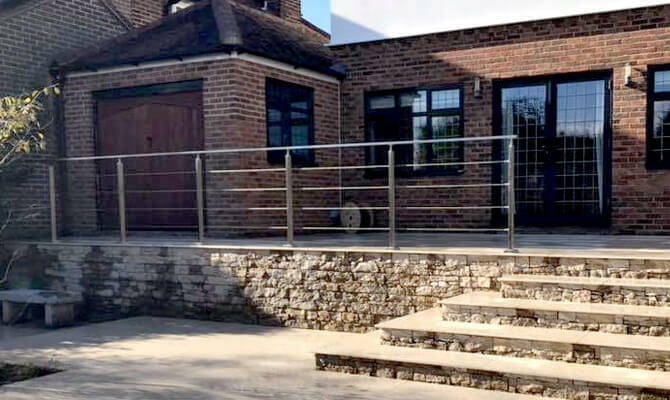 All balustrade wire and 60x30 balustrade components are manufactured from 316 stainless steel, making them the perfect choice for outdoor environments. 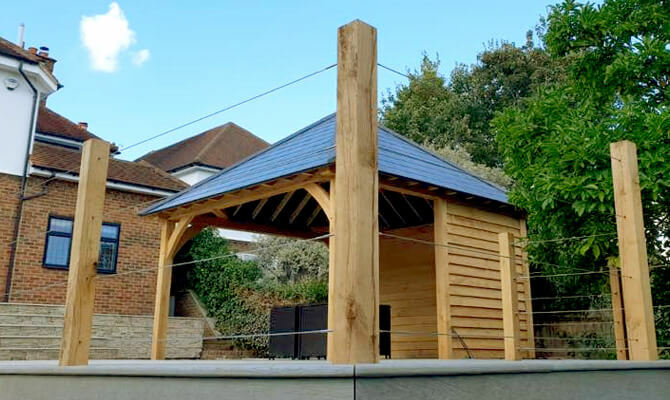 Our wire balustrade ball and socket mounting system allows for perfect installation on inclines every time. 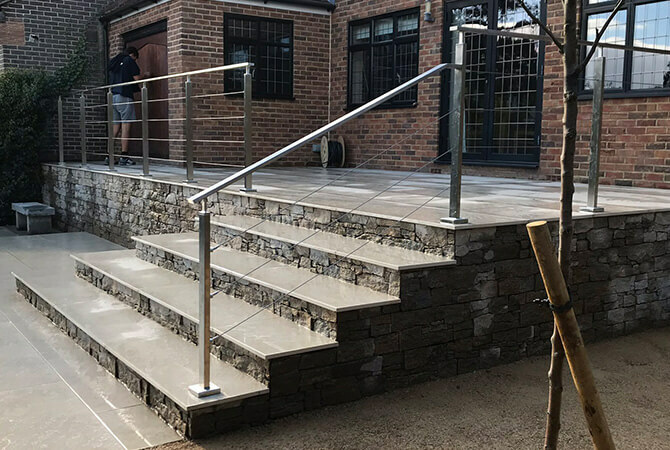 Square Line 60x30 Stainless Steel Balustrade is a distinctive; slender system, which is incredibly hard-wearing and strong. 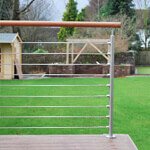 Flat mount wire balustrade has been mounted directly on to the timber posts.